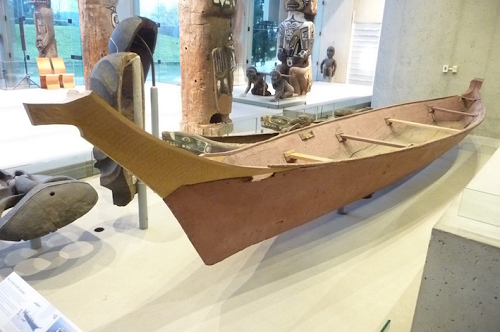 The visible mend of the Nuu-chah-nulth canoe, currently positioned in MOA prominently near the confluence of the ramp and the Great Hall, actually makes it difficult, for one standing there, to be what David Garneau has called a “panopticonic flaneur unaffected by touch”. What else then might the canoe be doing? Conveners: Dr. Fuyubi Nakamura, MOA Curator, Asia, Dr. Nuno Porto, MOA Curator, Africa & Latin America and Dr. Anne Murphy, UBC Asian Studies.